Those are the best ribs I've ever had. 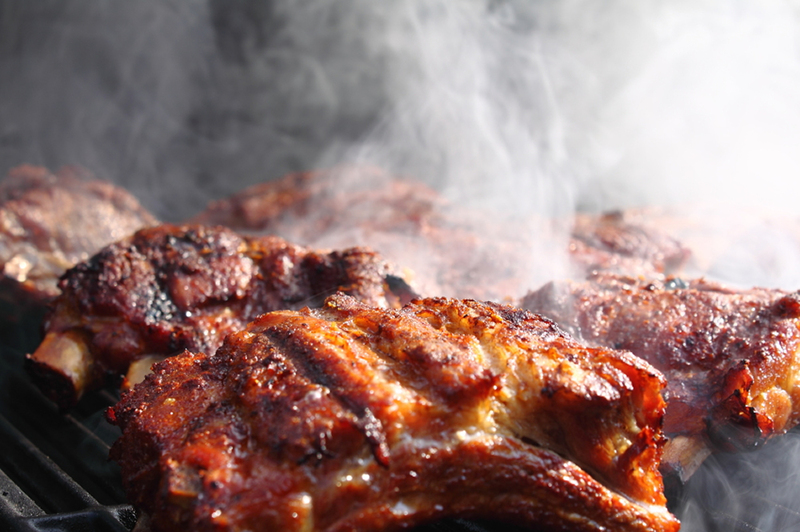 Our love for BBQ began in the home of the Liberty Bell. While most of our neighbors were deciding whether to get their Philly Cheesesteak with onions or Cheez Wiz, we were learning to slow cook meats on our $28 water smoker. After perfecting our own unique rubs and glazes, we started selling barbecue at car shows, bike nights and community festivals. Based on our success, we realized it was time to get serious and traded in our little Wal-Mart special for a smoker as big as our aspirations! Our customers loved our barbecue, we loved our barbecue, but we still didn't know how ours compared to other serious cooks' barbecue. So we started entering BBQ competitions. In our first five competitions, our ribs won five first place trophies. Our catering took off and we had customers who would come from miles around to get our BBQ. After a few years (and a few too many cold winters - think snow-b-cue) we realized we needed to be in the heart of BBQ country, and decided to come south to Georgia. It delights us that we hear the same thing from our Southern customers as those to the North, "Those are the best ribs I've ever had." Our customers from Pennsylvania missed our BBQ so much that we still ship ribs, pork and sauce to Philadelphia a few times a year. We may have moved 800 miles South, but our BBQ is still legendary 800 miles to the North.